Two roads lead eastwards out of Sutton, Coleshill Road leading towards Coleshill and Rectory Road leading towards Middleton. Both climb out of the valley up a steep hill, Coleshill Road becomes Reddicap Hill, and Rectory Road, according to Victorian maps, becomes Boot Hill. Boot Hill was a rural area in the 1820s, comprising sixteen dwellings. At the top of the hill, on the north-east corner of the Whitehouse Common crossroads, was White House Farm, where John Smith lived, a farmer of 120 acres. Across a stretch of coomon, on the north side of Rectory Road, opposite the Boot Inn, stood a group of three labourers cottages (still there), and further down, on the corner of Bedford Road, a pair of cottages only recently demolished, one of them, where a cabinet-maker lived, better than the other. Further still down the hill was another labourer’s cottage. On the opposite side was the large Rectory, and above it in the fields stood the Red House (later Hollyfield House), a gentleman’s residence. A track led from the Red House to Rectory Road, passing between John Jackson’s cottage and the Boot Inn. Anne Earp was the owner-occupier of a house which fronted onto this track, and four labourers with their families lived in a row of cottages adjoining the Boot Inn. Of these houses on the south side of Rectory Road, only Anne Earp’s house and the Boot Inn remain today. 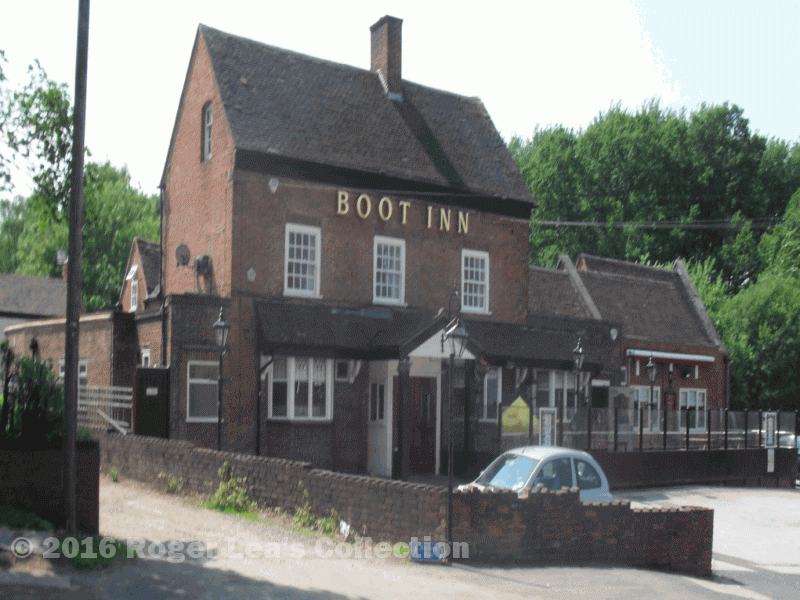 The Boot Inn, with its adjacent malthouse, served this small Boot Hill community (but not the gentry) and any passing trade, but the innkeeping was not enough for the person living there, who needed another source of income. Joseph James, who moved in to the Boot c.1843, was a cordwainer. Cordwainers made boots and shoes; all the schoolchildren were provided with a pair of shoes by the Warden and Society, and the accounts for 1846 show that Joseph James was paid £2. 1s. 6d. for school shoes; fifteen other Sutton cordwainers received similar payments. No doubt James displayed a boot outside his premises to advertise his trade, and the reputation of the beer to be had at the sign of the boot spread round the district. In 1861 shoemaking was still James’ principal business - he had an apprentice living in - the 1861 census shows that he was a cordwainer and beer retailer aged 46 living there with his wife, a son and three daughters. Ten years later his widow Elizabeth was described as a beerhouse keeper, and the house is named The Boot Inn for the first time. In the 1870s the Inn was regarded as the centre of the growing community, which became known as Boot Hill, and is still shown as Boot Hill on the 1913 Ordnance Survey map. In 1881 Mrs. James was still there, she was taking in washing to supplement her income, being described as a victualler and laundress. 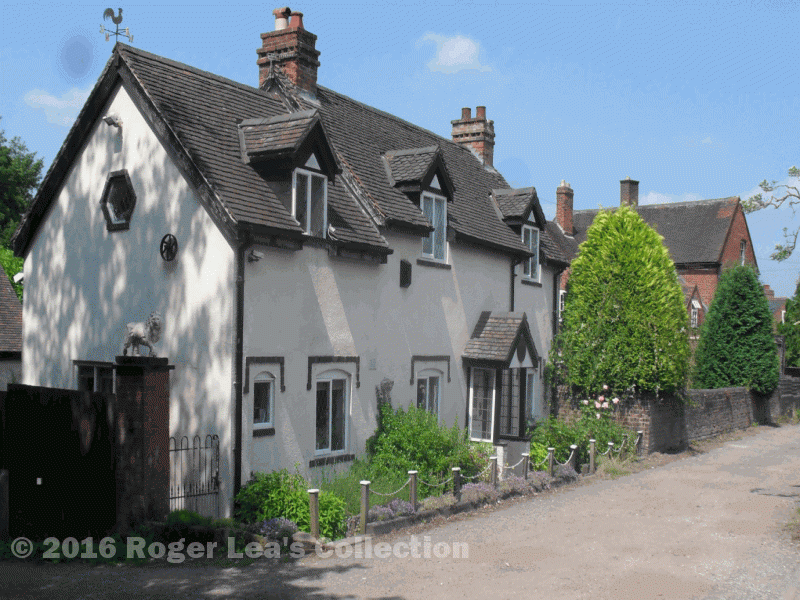 The next tenant, William Slater, was a licensee from Lichfield, and the 1901 entry for the Boot Inn gives James Lea, Park Keeper, living there with his wife and grown-up family of four, the two sons being blacksmiths. The 1901 census makes no mention of the public house business, but as the Boot Inn is still trading today James Lea must have combined park-keeping with being a publican. The extension to the right of The Boot replaced a row of four cottages. This was Anne Earp’s house in 1830; the Boot Inn is in the background.